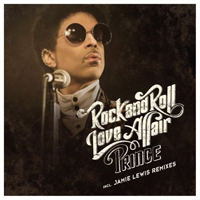 Prince has premiered today a new single, called Rock And Roll Love Affair, to coincide with his appearance on US talk show The View. Prince has co-written three songs with Andy Allo, his latest protegee, who he recruited into the band for last year’s Welcome 2 America Tour. Prince admits things have gotten different in later years “The industry has changed”, he laments, ” … I’ll just hold off on recording”.